I am a professor of computer science at the University of Arizona. My primary appointment is with Computer Science. 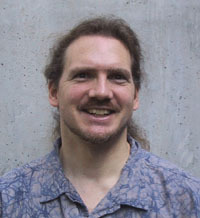 I also have an appointment with Electrical and Computer engineering (ECE), and serve as faculty for Cognitive Science, Statistics, and BIO5, Before coming to Arizona, I was a post doctoral fellow in computer vision at the University of California at Berkeley. I did my Ph.D. in computer science at Simon Fraser University, specializing in colour constancy. My research interests include image and video understanding, learning and fitting models of biological form, the application of computer vision to the organization and effective use of large image collections, and physics based vision problems such as understanding scene illumination.